In his debut collection of hard-hitting poems, Albuquerque Poet Laureate Hakim Bellamy addresses the issues important to our day—politics, work, and art. Bellamy moves from a freethinking attitude of deliverance to a provocative new space where the reader can reflect on the poet’s inquisition of the one percent, working-class life in urban and rural America, and the transcendent value of hip hop as one of our top exports and global contributions. 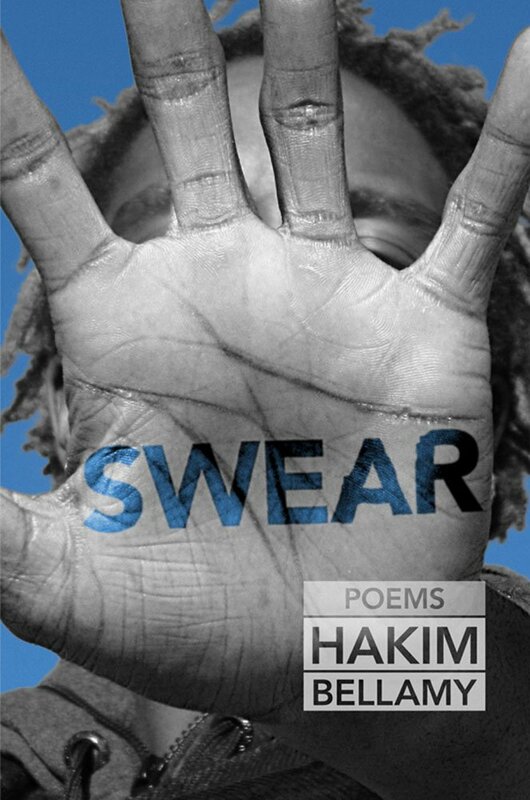 Swear politicizes the human condition in a manner that balances the abstract with the concrete. Hakim Bellamy is the inaugural Poet Laureate of Albuquerque (2012–2014). His work has been widely anthologized and published in Truthout, The Occupy Wall Street Poetry Anthology, Counterpunch, Mas Tequila Review, and other books and journals. Bellamy has written and performed for scores of public venues and forums, from Occupy to the New Mexico State Legislature.